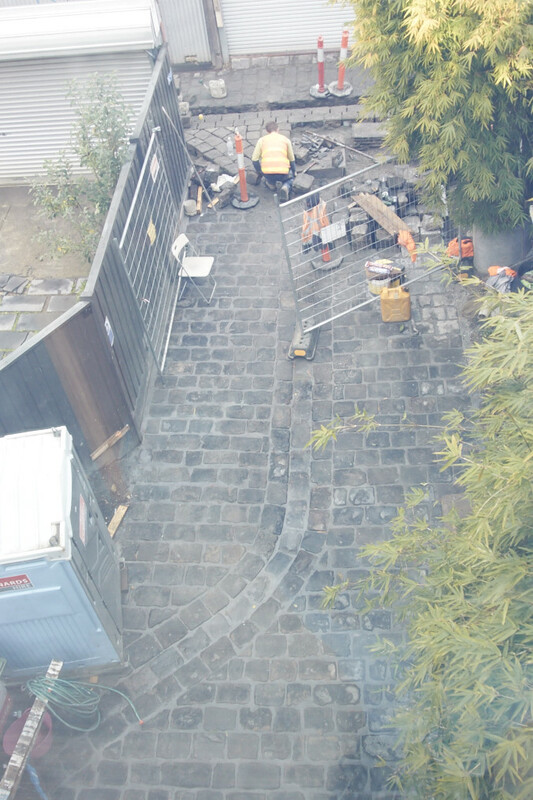 One of the final exterior things to happen on site is the bluestone paving around the building. 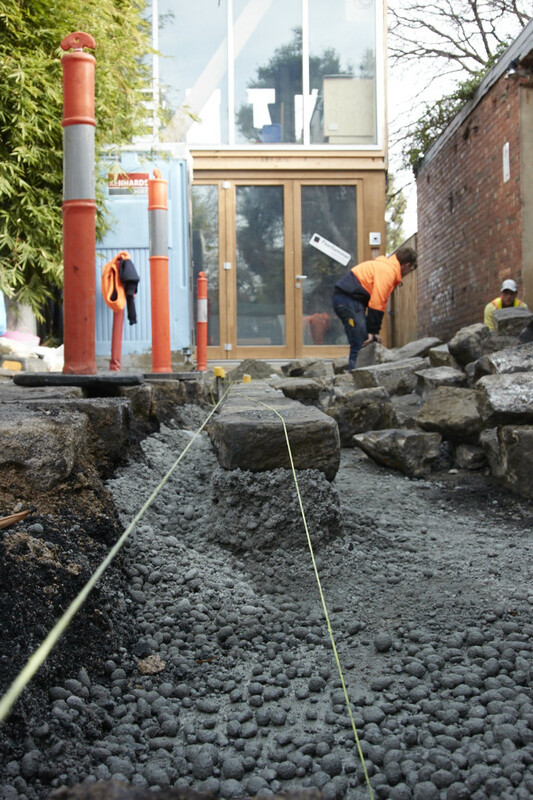 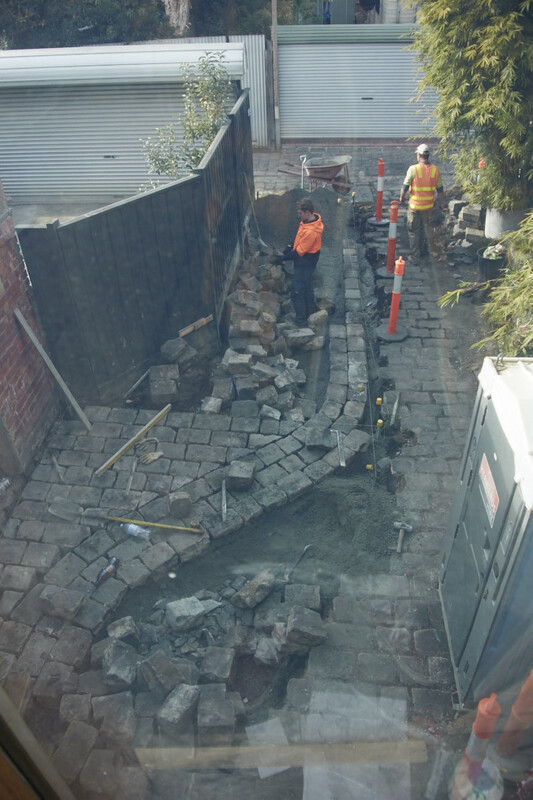 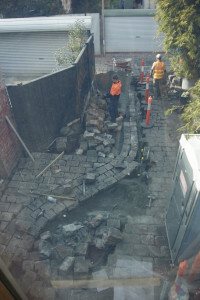 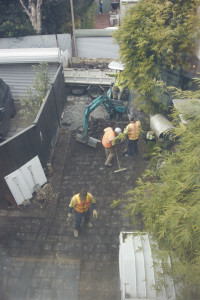 Hayes Lane itself is heritage bluestone pavement, and the Melbourne City Council has worked with the 5×4 team to repave the area of the lane in front of the building. 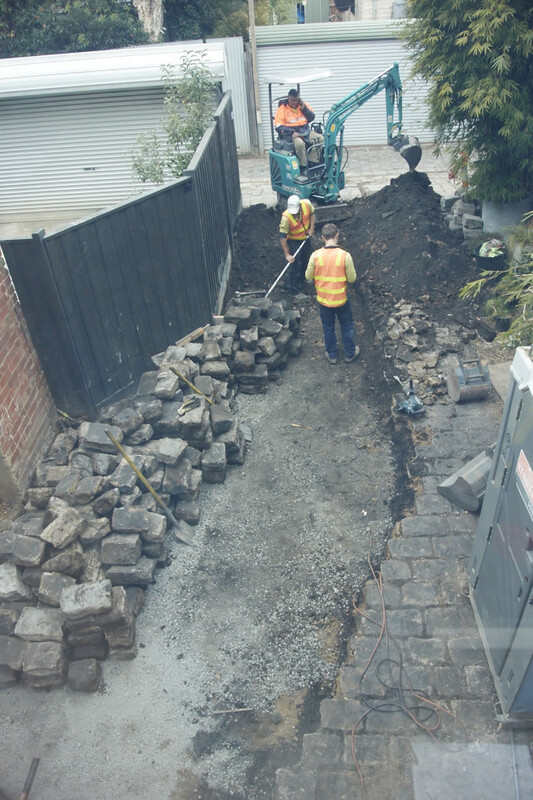 As the 5×4 building uses every available piece of space, this means that this iconic Melbourne bluestone is paved right to the front door! First the dirt had to be scraped off to reveal the existing old bluestone. Then all the old stones had to be removed and and new foundations laid to enable more stability in the newly paved lane. The stonemasons then began carefully repaving the lane, selecting each stone individually to fit the designated space. 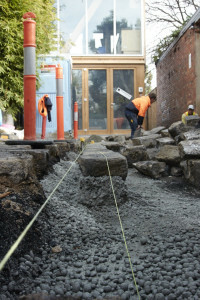 Using string-lines, the stonemasons made no mistake in doing a sterling job. 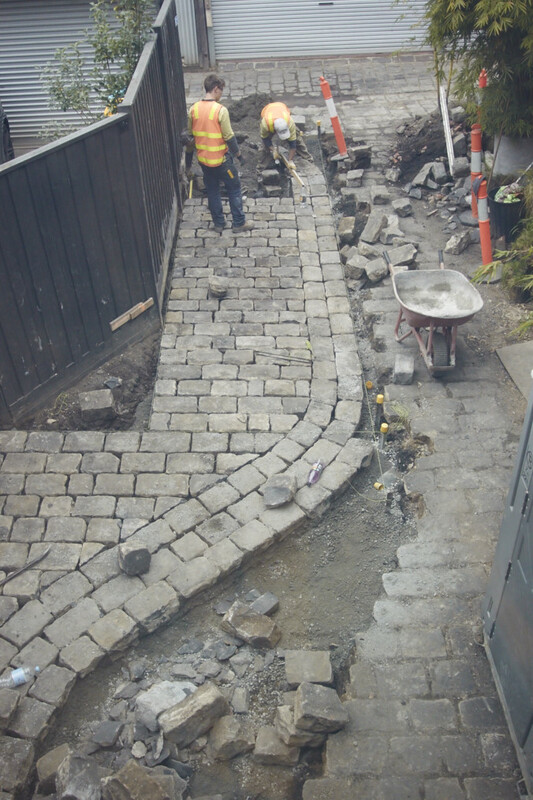 The curve down the middle enable water to run off without pooling at the front door! 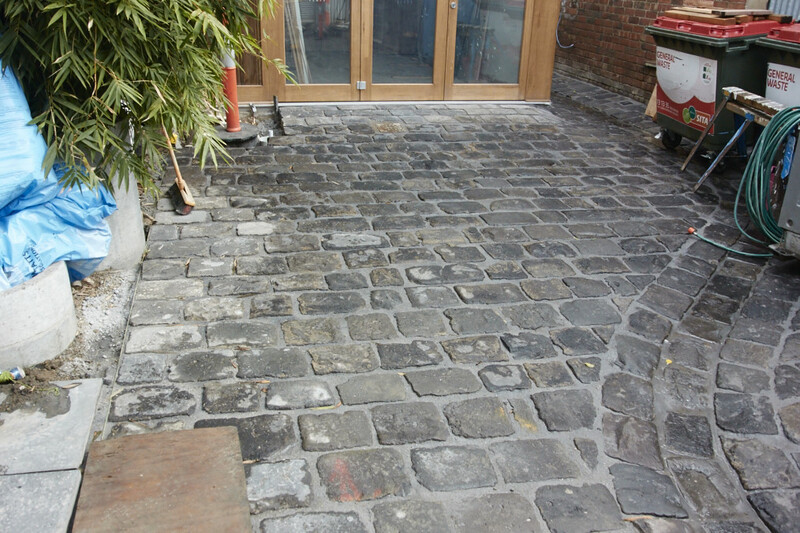 Once all the paving was finished in front of the building, the stonemasons integrated the new look into the other existing lane. 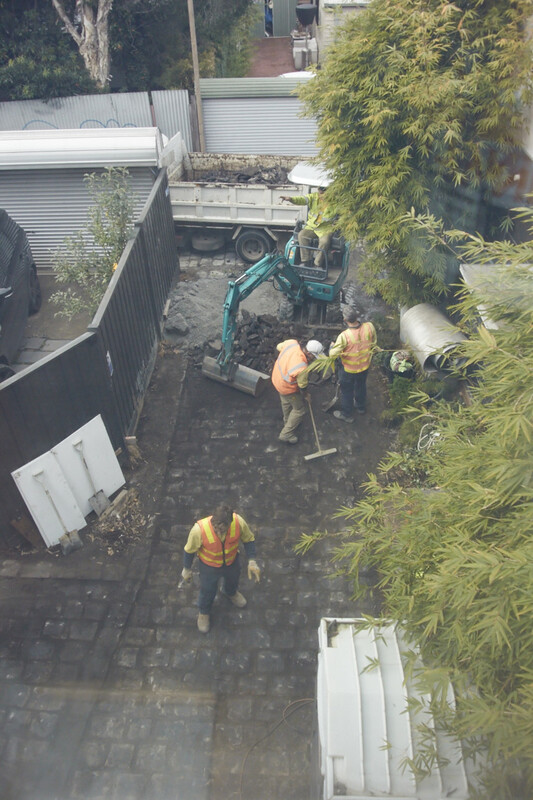 The repaved entrance makes the 5×4 building look like it has always been there.